July 27, 2016 — A stroll on the beach of a remote Bering Sea island two years ago has produced a scientific breakthrough — the discovery of a previously unidentified species of beaked whale that dwells in the deep waters of the North Pacific Ocean. The conclusion, described in a study published in the journal Marine Mammal Science of the California-based Society for Marine Mammalogy, stems from the 2014 discovery of a beached whale carcass by a local monitoring program called Island Sentinel. Karin Holser, a teacher on St. George Island in the Pribilofs, alerted authorities, and Michelle Ridgway, a Juneau-based biologist involved with a Pribilof science camp, responded quickly. “She was the one who said, ‘This looks like a Baird’s beaked whale, but it doesn’t,'” said Phillip Morin, a research molecular geneticist with the National Oceanic and Atmospheric Administration and lead author of the new study. The whale was about two-thirds the size of a Baird’s beaked whale, which typically grows to 35 or 40 feet, Morin said. It was clearly not a juvenile, as its teeth were worn and yellow, “so they were not baby teeth,” he said. Its skull had a distinct slope and its dorsal fin was different from that of the typical Baird’s beaked whale. Tissue samples were sent to the Marine Mammal and Turtle Division of NOAA Fisheries’ Southwest Fisheries Science Center in California, where Morin works and where the world’s most extensive collection of cetacean tissues is kept. The whale’s skull was sent to the Smithsonian Institution in Washington — and students from the Pribilofs visited the lab there to take part in the examination. DNA analysis showed it was a species different from the 22 previously known species of beaked whales in the world and the two known to swim in the North Pacific. July 18, 2016 — The decades long “bycatch to food banks” program has grown far beyond its Alaska origins. Today, only 10 percent of the fish going to hunger-relief programs is bycatch — primarily halibut and salmon taken accidentally in other fisheries. 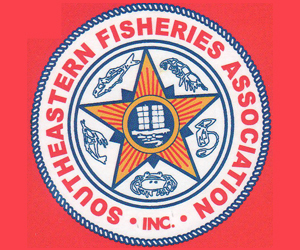 The remainder is first-run products donated to Sea Share, the nation’s only nonprofit that donates fish through a network of fishermen, processors, packagers and transporters. Sea Share began in 1993 when Bering Sea fishermen pushed to be allowed to send fish taken as bycatch to food banks — instead of tossing them back, as required by law. “Back then, that was the only thing that we were set up to do, and we are the only entity authorized to retain such fish. 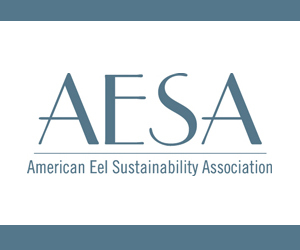 It became a rallying point for a lot of stakeholders, and from that beginning we’ve expanded to the Gulf of Alaska, and grown to 28 states and over 200 million fish meals a year,” said Jim Harmon, Sea Share director. Some seafood companies commit a portion of their sales or donate products to Sea Share. Vessels in the At-sea Processors Association have donated 250,000 pounds of whitefish each year for 15 years, which are turned into breaded portions. 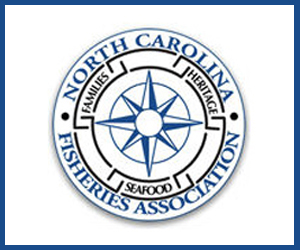 Sea Share’s roster also has grown to include tilapia, shrimp, cod, tuna and other seafood products. Over the years, Sea Share has ramped up donations in Alaska, where halibut portions from Kodiak fisheries are used locally, in Kenai as well as being flown to Nome and Kotzebue, courtesy of the U.S. Coast Guard. A new freezer container has been stationed at the Alaska Peninsula port of Dillingham, holding 8,500 pounds of fish, and several more are being added to hubs in Western Alaska, Harmon said. July 13, 2016 — ANCHORAGE, Alaska — Federal biologist Jay Orr never knows what’s going to come up in nets lowered to the ocean floor off Alaska’s remote Aleutian Islands, which separate the Bering Sea from the rest of the Pacific Ocean. Sometimes it’s stuff he has to name. “I suspect we are just scraping the top of the distributions of some of these deep-water groups,” Orr said from his office in Seattle. Orr and his colleagues measure the abundance of rockfish, flatfish and other “bottom fish” for the Alaska Fisheries Science Center, the research arm of the NOAA’s National Marine Fisheries Service. The center studies marine resources off Alaska and parts of the West Coast. June 30, 2016 — U.S. Secretary of Commerce Penny Pritzker announced the appointments of Buck Laukitis and Theresa Peterson to the North Pacific Fishery Management Council June 27, further strengthening Gov. Bill Walker’s fisheries management position on preserving local fisheries participation in coastal Alaska. 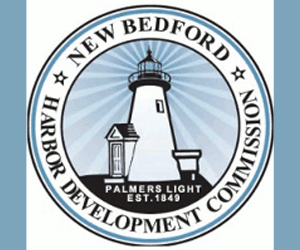 The nominations will go into effect Aug. 11. Governors submit nominations to the Commerce Department, which must then be approved by the secretary. The North Pacific Fishery Management Council is the most economically powerful of eight regional councils that oversee federal fisheries between three and 200 miles off the U.S. coast. As of 2014, the North Pacific region accounts for 65 percent of the nation’s total seafood harvest value, according to National Oceanic and Atmospheric Administration reports. Peterson and Laukitis replace Duncan Fields and David Long, respectively. Fields, a Kodiak attorney and fisherman, finished his third three-year term in June 2016, the maximum terms allowed consecutively under the U.S. fisheries governing regulation, the Magnuson-Stevens Act. Long, a Wasilla resident and Bering Sea groundfish fisherman, served one three-year term and was not reappointed though he did submit his name for consideration. Peterson and Laukitis will fill two of six designated Alaska seats on the 11-member body. June 6, 2016 — ANCHORAGE, Alaska — Researchers in the Bering Sea off Alaska’s west coast will get help this summer from drones, but not the kind that fly. The National Oceanic and Atmospheric Administration and private researchers are gathering data on marine mammals, fish and ocean conditions from two “autonomous sailing vessels” built by Saildrone, an Alameda, California, company. “Think of a 20-foot outrigger canoe with an airplane wing sticking up from the middle,” said Chris Sabine, director of NOAA’s Pacific Marine Environmental Lab, at a press teleconference Friday. They hold great appeal for researchers because they’re far cheaper to operate than research ships and they can work in dangerous conditions of the North Pacific. “Imagine the TV series, ‘Deadliest Catch,’ and you can imagine why we would like to remotely gather this information,” Sabine said from Seattle. Operating by solar and wind power, the vessels can carry 200 pounds of instruments. Two were deployed last week from Dutch Harbor in the Aleutian Islands. Part of their payload will be acoustic gear that can pick up the sounds of North Pacific right whales, one on the most endangered animals on the planet. May 25, 2016 — Scientists from NOAA’s Alaska Fisheries Science Center will embark from Dutch Harbor May 28 on another busy survey season, off Alaska’s coast, collecting data needed for fisheries managers to determine sustainable fishery harvest levels. This year, they’ll be conducting three groundfish and crab bottom trawl surveys and one midwater acoustic-trawl survey. WASHINGTON (Saving Seafood) — May 3, 2016 — Dr. William Karp, the Science and Research Director of NOAA’s Northeast Fisheries Science Center, announced today in an email that he will be stepping down from the position at the end of September. Dr. Karp, who was appointed to the Director position in 2012, has over 30 years of fisheries research experience, working at the Alaska Fisheries Science Center before coming to the NEFSC. The text of Dr. Karp’s email is reproduced below. After a 30-year career with NOAA Fisheries, I have decided to retire from Federal service on September 30th, 2016. When I started work at the Alaska Fisheries Science Center in 1986, I was excited by the opportunity to work as a scientist in support of our mission while, at the same time, serving the public. My understanding of the breadth and depth of our mission has increased greatly during my 30 years of service, and my commitment to science-based management of living marine resources has remained strong. The work I have done during these 30 years has always been challenging and rewarding, and I have been honored to work with many skilled scientists and administrators. At the start of my career with NOAA, I joined the midwater assessment team at the Alaska Center, working on acoustic technologies and survey assessment of pollock in the Gulf of Alaska and the Bering Sea. During my years at AFSC, I changed jobs, and direction, several times, working with different staff at the Center and, increasingly, with partners in academia, the fishing industry, and the international community. My time as Deputy Science and Research Director at AFSC was especially rewarding as I came to understand the incredible depth and breadth of the Center’s work, and the remarkable impact this has had on the science, management, and conservation of living marine resources throughout Alaska. Four years ago, I moved to Cape Cod to take on a new assignment as Director of the Northeast Fisheries Science Center. I was honored to be selected for the position and, as at the Alaska Center, have greatly enjoyed the opportunity to work with a highly dedicated and accomplished staff. The science and management challenges in New England and the Mid Atlantic differ markedly from those in Alaska, and, while this job has been very demanding, I feel fortunate to have had the opportunity to work with staff, stakeholders, and academic and management partners to improve our science and better inform the management process. My career with NOAA has been exciting, challenging, rewarding, and fulfilling. It has been my privilege and my pleasure to work with all of you. April 19, 2016 — SEAFOOD NEWS — Economic losses from a diminished catch will be partially offset by rising prices for the fish species that supports the nation’s single biggest seafood harvest, according to an analysis by researchers at the National Oceanic and Atmospheric Administration’s Alaska Fisheries Science Center. The report, by economist Chang Seung and biologist Jim Ianelli and published in the journal Natural Resource Modeling, estimates that the total Alaska pollock harvest in 2050 will be 22.2 percent smaller than it was in 2004. But the dollar value of the harvest – total revenue from sales of raw pollock – will decline by only 9 percent, according to the report’s projections. Pollock harvests in waters off Alaska generally range between 1 million and 1.4 million metric tons a year, with nearly all of that pulled out of the eastern Bering Sea. The 2012 catch of pollock from waters off Alaska totaled 1.31 million metric tons and brought in nearly $500 million to the harvesting fishermen, according to the report. The total value of the fishery is much greater than that when multiplier effects are considered; it mounts to billions of dollars as the economic activity expands along each step from the fishing vessel to consumers’ meals. Future consumers will be willing to pay more for pollock for a variety of reasons, Seung said. “There is a decrease in supply of pollock. That will increase the price a little bit,” he said. In addition, the analysis assumes growth in the global population and economy, meaning expanded markets of fish-eaters and a positive shift in the demand curve, he said. The analysis considers a range of scenarios that are averaged over the long term. In the short term, Alaska pollock stocks and harvests fluctuate year to year. The gradual warming that is happening and is expected to continue will have effects in coming decades. Effects of warmer waters on pollock are complicated, according to analysis by the Alaska Fisheries Science Center. Higher summer temperatures tend to spur growth of more young fish, but those conditions leave much less high-oil prey for them to eat. Though they are more abundant than their cold-summer counterparts, the warm-summer young pollock are low on the fat reserves they need to survive the winter. Since juvenile pollock are a major source of food for a variety of fish and marine mammals, winter survival is critical to stock sizes. Pollock populations can be plentiful if warm and cold years alternate, according to NOAA analysis, but there is concern about several sequential warm years causing big stock declines. Do the future supply and demand changes mean the lowly pollock might become a more premium whitefish? Could pollock be the new cod? Don’t count on it, advises Gunnar Knapp, a University of Alaska Anchorage economist with fisheries expertise. “I don’t see it happening any time soon,” said Knapp, director of UAA’s Institute of Social and Economic Research. Though groundfish is not his specialty, he said, his “gut instinct” is that pollock faces too many obstacles to become a prized fish like halibut, now considered a delicacy, or even cod, which has niche appeal as food with centuries-old traditions. Those include competition from other whitefish, like farmed catfish and tilapia, along with the emerging farmed species from Vietnam, Pangasius hypophthalmus, which goes by the newly coined name “swai,” Knapp said. Swai was not even eaten in the United States until about 10 years ago but it is now a strong contender in the whitefish market, he said. Future marketing of pollock could make a pitch for the product as wild and sustainably managed, Knapp added. Pollock also feeds spinoff markets for roe – generally a Japanese market subject to the changing value of the yen – and the paste known as surimi, making pollock economics a bit more complex than those applicable to other fish, he said. 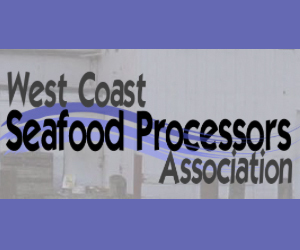 March 9, 2016 — Fisheries on the West Coast of America have come under intense pressure after closures and a dramatic fall in stock levels. Adrian Tatum looks at the challenges over the last few years. Sometimes when something is broken it seems almost impossible to fix. Commercial fishing on the West Coast of America is far from broken but parts of it do need fixing. Nearly a year ago its commercial sardine fishery was closed after the population of Pacific sardines had fallen to alarming levels. In April last year, scientists made a recommendation for full closure after the population was estimated to be below 150,000 tonnes. It has been a dramatic decline, as in 2007 there were 1.4 million tonnes. The sardine fishery has not only been a major revenue source for West Coast fishermen, but many other species of fish such as tuna also rely on a plentiful supply for food. Scientists believed that by closing it last year it would give the population a chance to recover. But just last month, it was revealed that the sardine population has not recovered, and is in fact still declining at a fast rate. Scientists from the National Marine Fisheries Service say that by the summer, the population is likely to be 33% lower than in 2015. 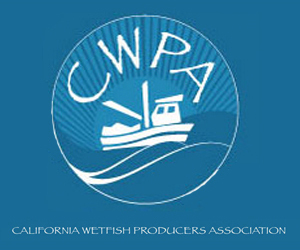 Like most fisheries around the world, West Coast fishermen are facing up to a bycatch reduction plan. 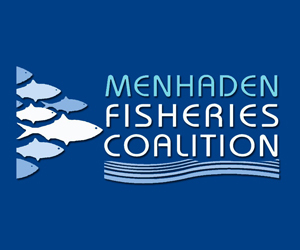 The North Pacific Fishery Management Council is considering a plan which would allocate individual bycatch caps to groundfish vessels in the Gulf of Alaska rather than targeting specific large species. Back in 2011, the council passed a series of salmon and halibut bycatch reductions which angered fleet owners and fishermen. Now many Gulf of Alaska fishermen feel the recent changes will have a ‘crippling’ affect on its groundfish fleet. Approximately 85% of the North Pacific groundfish fisheries are rationalised. 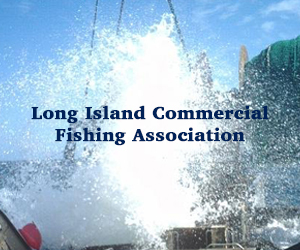 This means fish quotas are assigned to individual vessels or fishing cooperatives. It is widely believed by some experts that this is the best way to ensure minimal bycatch, meaning vessels can fish without a time limit and are therefore more likely to avoid some of the endangered species such as salmon and halibut. But this process can also have a negative effect on the industry. Recent years have seen rationalisation being applied to the Bering Sea crab fishery where the number of boats fishing for crab fell by two thirds in just one year, with the loss of over 1,000 jobs.